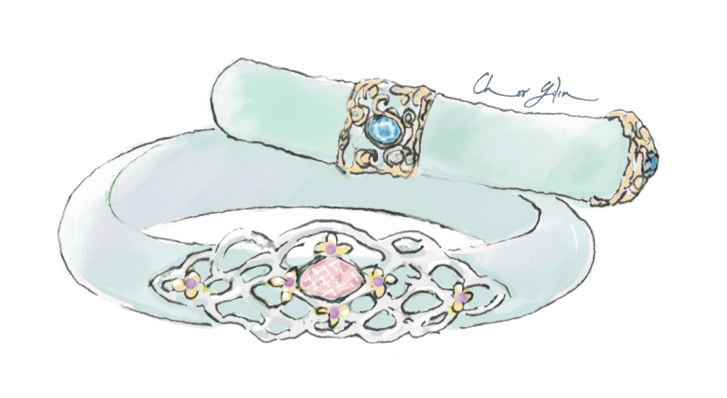 The first Singapore story we ever told was through our inaugural Peranakan Collection, launched in 2012. People often ask me why I have such a deep connection to the Peranakan aesthetic, expressing surprise when they realise that I am actually not Peranakan! My answer has always been that over four generations of my extended family have grown up in Joo Chiat; that exposure to the Peranakan aesthetic was something that accompanied me well throughout my childhood. For me, this heritage-rich neighbourhood is the confluence of years that embodied youth, growth, happiness, and most importantly, love. 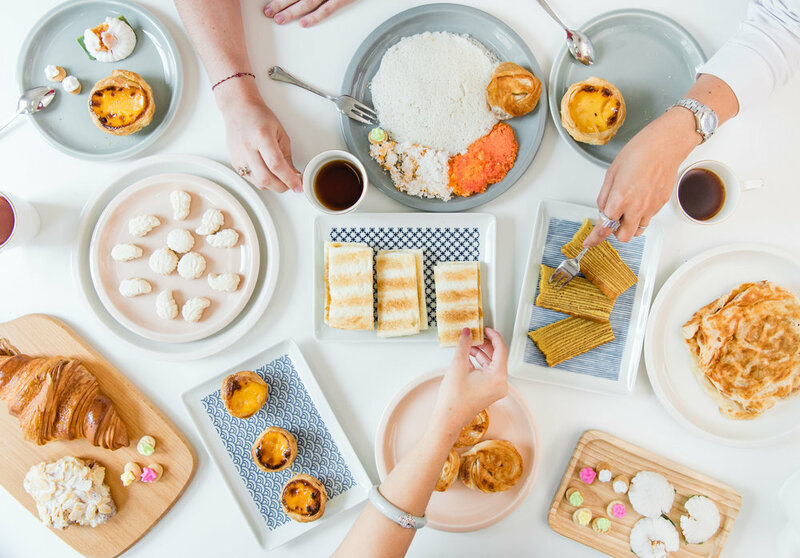 However, there’s another reason why I (and the rest of the Choo Yilin team) are so drawn to Peranakan culture – the creation of it, in many ways, is really a result of the ideal, aspirational parts of Singapore’s multicultural identity. The Peranakans created their own “hybrid” culture of Chinese and Malay influence, and also adopted many aspects from Western colonies. Essentially, the end result was an East-meets-West creation, completely distinctive to this part of the world. Today, I took a moment to enjoy a normal morning as a Singaporean. During our team breakfast, we feasted on Peranakan, Chinese, Malay, Indian and Western cuisines. The Choo Yilin Studio was vibrant with multilingual conversations - English, Mandarin, Malay, and Tamil slang words were weaved effortlessly into various sentences through our colloquial tongue: Singlish. As I think and write in English, whilst speaking in Mandarin and other Chinese dialects with my grandmother, or casually peppering my speech with Malay or Tamil with my colleagues, I marvel that all of this came to be because of where I was born and raised. In so many ways, this brand that we are so lovingly creating is really an embracing of all of these cultures and stories - the Chinese diaspora’s deep love of jade, the intricacy and vibrancy of Malay and Indian traditional garments, and the acknowledgement of age-old Western fine jewellery techniques. It’s an honour to be a local label that’s able to share this love and appreciation of cultures, from our nation’s shores, to the world’s. Happy birthday, my darling Singapore! May we hold these stories close to be reminded of the ideal selves we aspire to become.